Five of the best free-to-play games that you need to try out now! Whether you’re tight on cash or just looking to test out a game, free-to-play games have improved leaps and bounds beyond the days of simple online Flash-based games. We’ve had a bit of a think, and have come up with five of the best free-to-play games available! League of Legends is one of those games that takes years to master but can be immediately enjoyable when you dive in with a few friends. League of Legends, or “LoL”, is a Multiplayer Online Battle Arena (MOBA), where two teams of five fight in a small map with the aim being to push into the opponent’s territory and destroy their base. To play League of Legends, players use the mouse to direct the movement of their Champion and use a standard form of attack while the QWER keys control the Champion’s unique abilities. 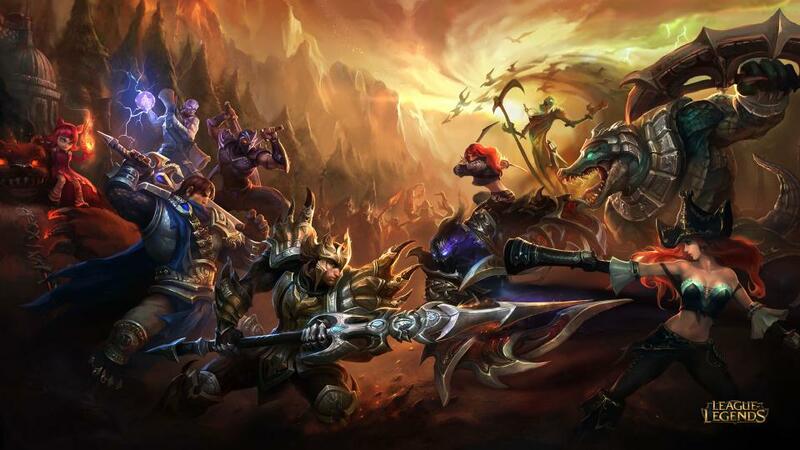 With over 130 Champions available for the player, there are hundreds of hours alone involved in playing each of the Champions and that’s before you find your favorite. Part of the fun is finding a Champion you connect with and using them until you understand the basic mechanics of the game, like attacking the towers that block your progress toward the enemy base or killing the little minions found around the map in order to earn Gold to purchase items. The mechanics behind League of Legends are complicated when first starting but in time will come together to form a bedrock of knowledge. Soon enough you’ll be planning out builds for your favorite Champion and discussing with friends why one object is a better option than another. Much like the other games on this list, League of Legends includes microtransactions, a feature that has become a part of life like death and taxes. When you first start League of Legends all of the Champions will be locked except for the ten on the Free Rotation. This Free Rotation changes each week and allows you to try out all of the Champions without the need of spending real money or the in-game currency you earn each match. So rest assured, even though spending real money is an option, you can still use in-game currency to purchase Champions. Most of the appeal of using real money is through buying the different skins or costumes for a Champion, as these are only available through using cash. If you need a game to sink hours of your life into, look no further than League of Legends as soon enough you’ll be discussing the merits of having a Jungle Fizz. The chance of me living my dream of driving a tank in real life is slim-to-none which is why games like World of Tanks are needed. 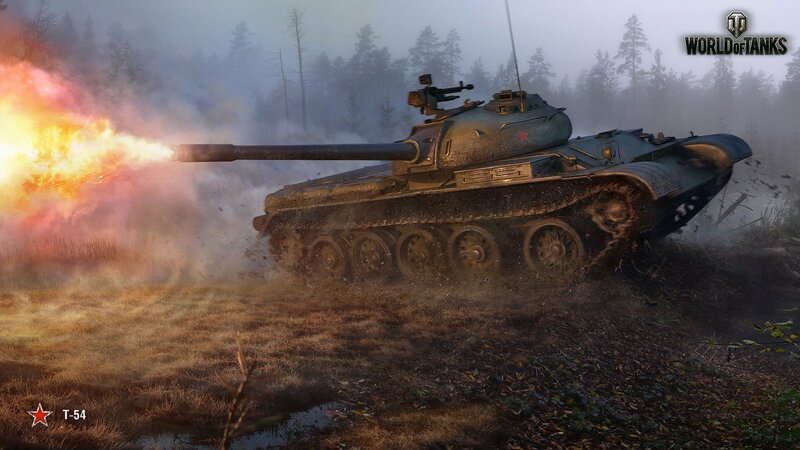 World of Tanks will fulfil every childhood dream you’ve ever had of manning your own tank, rumbling into battle, and firing shell after shell into other tanks. With over 300 armored vehicles in World of Tanks, you will be able to use precisely the tank you’ve always dreamed of driving. Each tank is meticulously crafted by 3D modellers to be as close to the real thing as humanly possible. Every tank is different to the other. Even though two tanks of the same production line are separated by a single variation, their gameplay and handling can be vastly different. World of Tanks is the sort of free-to-play game that demands your attention and dedication. There is next to no hand-holding and an incredible amount of information that can be learned. However, this shouldn’t alarm any novices as the community in World of Tanks is one of the friendliest and most willing to share their knowledge. Beginner players can get away with driving around and shooting tanks but as players progress in skill so does their understanding of tanks. This progression gets to the point where players are able to, at a glance, know immediately what tank an opponent is using, where the weak points are located in the armor, and what sort of aiming speed and accuracy the tank is capable of achieving. World of Tanks will make you want to get better, to understand the tanks and learn their weaknesses and strengths. As with all free-to-play games, World of Tanks includes paid content in the form of Premium tanks. Premium tanks aren’t overtly better than other tanks as World of Tanks incorporates and extremely robust matchmaking system that prevents high-level tanks from versing low-level tanks. Even if a Premium tank is up against tanks of a similar tier level it might not be the best in class. The benefits of Premium tanks come in the form of experience and performance. A Premium tank earn increased experience and comes with a crew that is fully trained, all you have to do is train up any extra skills you might want. World of Tanks is perfect for gamers who want to spend their time driving around in a tank. There’s something extremely enjoyable about unlocking a tank you’ve been working toward and using it to crush your opponents. World of Tanks is a must-play free-to-play game. Neptune’s Pride is one of those games you won’t hear about except through a friend who says, “Hey, we should all play Neptune’s Pride,” now you can be that friend for your friends! Neptune’s Pride is a game that can be likened to Master of Orion where you start as a small civilization in a cluster of stars and must increase your industry in order to stretch out across your system. Neptune’s Pride is a simple 4X game (eXplore, eXpand, eXploit, and eXterminate), where you can form alliances with your friends or declare war on them, the choice is yours. Players begin their game on the edges of the map with only a few credits to their name, enough to put resources into Economy, Industry, or Science, each of which affects either your income, ship production rate, or the speed that your technologies research. Beyond that, players can research different technologies like Scanning, which allows them to see what’s on another star; Banking, increases the credits you earn per 24 hours; and even Hyperspace, increases the jump range of your carriers. One of the most appealing features of the game is that it’s perfect for players with limited time as moves take minutes to set up. This allows players to jump online, configure their research, send ships to other stars, and spend some time working on work diplomacy with other players. Every real-world 24 hours a new “tick” occurs in-game giving players resources like Credits or completing certain research assignments. Sending a ship to a neighboring star can take hours, with some of the longer journeys around the system taking days to accomplish. This tiny yet complex game is Australian made, having received funding from Screen Australia to aid with production. If you enjoy: games you can spend weeks playing with your friends, free-to-play games, and supporting small indie developers makes you happy, you should definitely check out what Neptune’s Pride has to offer. Who would have thought that card games would go from a deck of 52 playing cards to Magic the Gathering and Yu-Gi-Oh styled competitive play, to online non-physical card games? Hearthstone takes what Magic the Gathering created back in the 90s and applies Blizzard’s ubiquitous high-quality content into an online, card collecting, and opponent versing blockbuster. Hearthstone is a card game where players collect Blizzard-themed cards each with a unique set of mechanics that function within the game’s rules. Using these cards, players build a deck of 30 cards to use against an opponent in battle. The appeal of Hearthstone begins with the addictive quality of card collecting. Each card in Hearthstone has a rarity associated with it, with the most highly sought-after cards being extremely difficult to get a hold of. In order to earn these cards, players must use in-game credit to purchase card packs, similar to real-life sealed packages, and open them to reveal what cards they received. There’s a sense of excitement as you wait for the game to reveal the cards you’ve won. Players also have the option to use real world money to buy these card packs, essentially speeding up the collection process. While Hearthstone is free-to-play, there is an undeniable sense that putting money into the game will get you a higher chance of receiving powerful cards. Thankfully the matchmaking and ranked play of Hearthstone prevents players who don't own the best cards getting repeatedly beaten by players with more disposable income. Players aren’t limited to versing other gamers in a standard duel as Hearthstone also encourages players to enjoy Tavern Brawls. This weekly mode allows players to face other opponents in matches that have unique rules. These rules might require players to use decks that are only available for use in the Tavern Brawl, to play using a changed ruleset of cards and minions, or to use special Tavern Brawl cards which are unique and unavailable outside of the event. 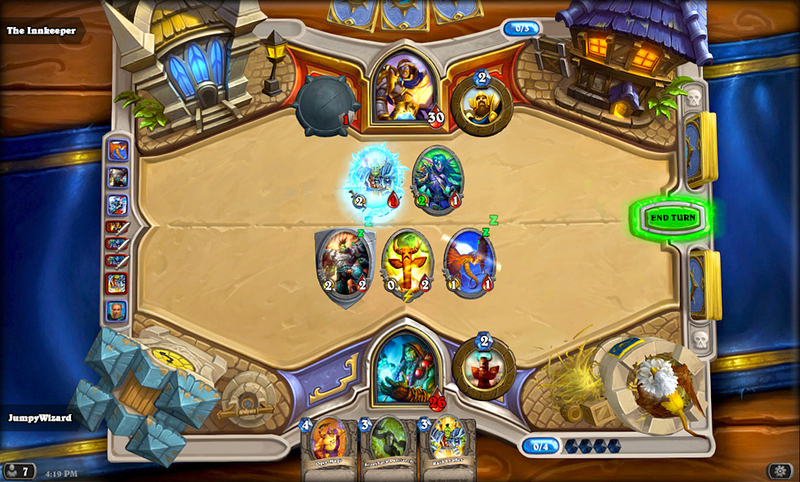 Whatever your skill level, Hearthstone will have a mode that suits your style. If you’re looking for a game that will give you the excitement of opening and receiving new cards and the thrill of battling other players but you don’t want to worry about storing hundreds of physical pieces of cardboard, Hearthstone is the answer and game worth checking out. As much as we all love games that require patience, well thought-out strategy, and extremely in-depth knowledge, sometimes all we want to do is shoot someone else in the face. This is where Team Fortress 2 comes in, lifts its hat and takes a bow. Team Fortress 2, for those not in the know, is a team-based first person shooter where players select one of nine classes to use in a variety of game modes. 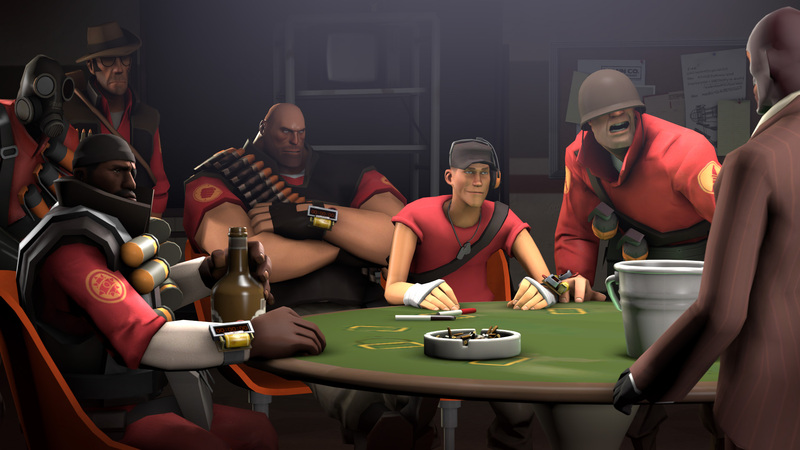 The classes in Team Fortress 2 are divided into multiple archetypes such as:the Scout, a fast-moving wise-cracker; the Pyro, wielding a lamethrowing and axe; the Medic, specializing in healing and buffing allies; and the Spy, able to appear as an opponent allowing him to slink behind enemy lines. Team Fortress 2 wasn’t always a free-to-play game. In 2011, Valve shifted the popular shooter from a purchasable game to the free-to-play genre, with microtransactions acting as the main form of monetary support. Players have the ability to use funds from their Steam Wallet to purchase items through the Mann Co. Store. These items include community-made items that allow creators to earn a small percentage of the sale, cosmetic gear like hats, weapons, and action-items. Though the game offers microtransactions, almost all of the purchasable content is available through in-game drops, so don’t worry if you don’t have the funds to purchase that fancy top hat, it might drop for you in-game! Despite being released almost ten years ago now, Team Fortress 2 remains as one of the most played games on Steam, constantly holding a top-ten position on Steam’s stats page. As of writing this article, Team Fortress 2 has over 56,000 players online and playing, beating out the wildly popular ARK: Survival Evolved and GTA 5. The influence Team Fortress 2 has had on current gaming is evident to anyone who has played Blizzard’s wildly successful Overwatch where players take the role of cartoony characters that each has a set of abilities unique to them. If you’re looking for a free-to-play shooter, you can’t do much better than Team Fortress 2. Whether you’re looking for a game you don’t have to pay in order to own or you’re looking for the next thing to sink hours of your time into, these free-to-play games are a must-try for anyone who’s in the market for a new game. We’ve even included a genre for every type of gamer, whether you prefer card games, tanks, or even long-form diplomatic encounters, we’re certain you’ll enjoy these free-to-play games!